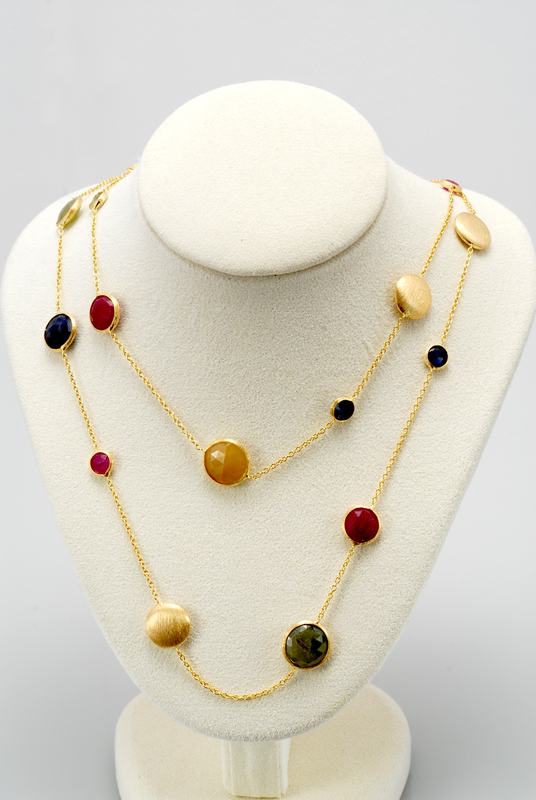 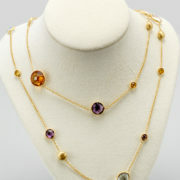 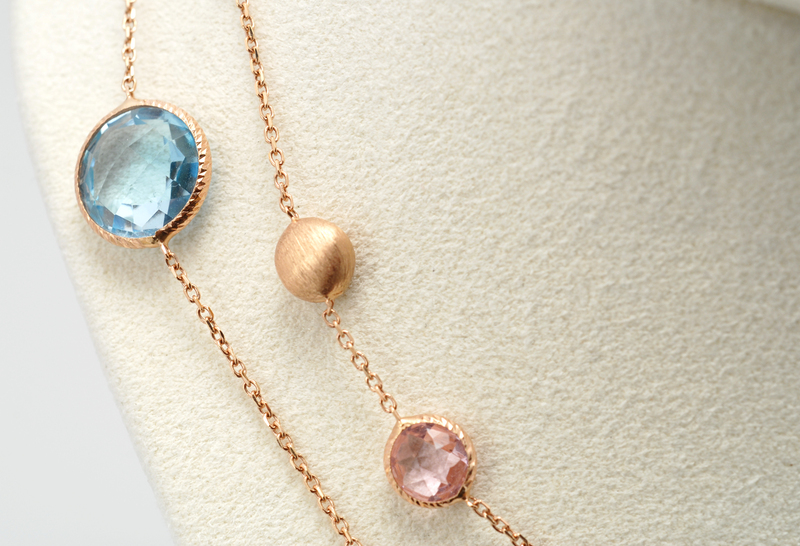 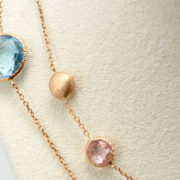 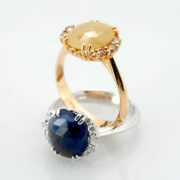 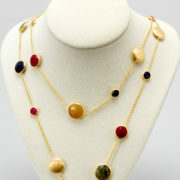 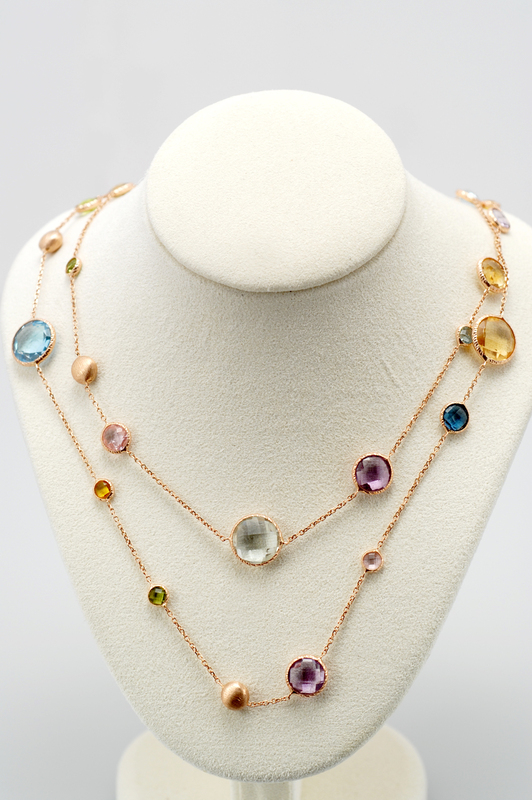 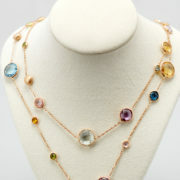 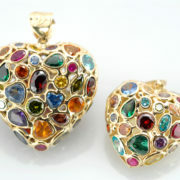 Our necklace’s are created with different semi-precious stones of different shapes colours and weights. 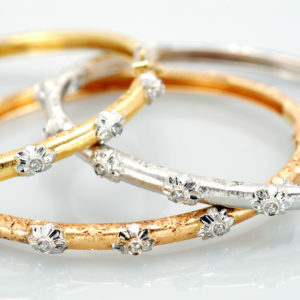 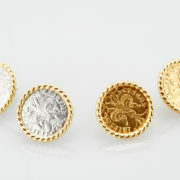 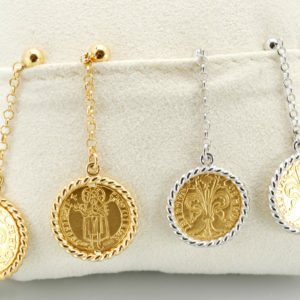 They are in 18 kt gold either white, rose or yellow and some are decorated with pieces of satin finished gold, which is a speciality of Florence. 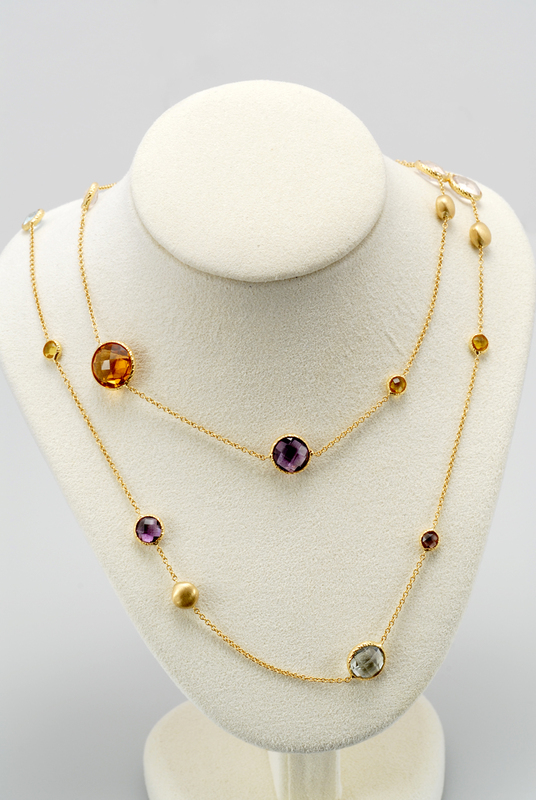 The lengths vary from 70, 80, 90 cm which enables them to be worn as a double necklaceor just a single long length.